It was just last week that we first heard rumors that Google was working on Android Pay, a new mobile payments platform, and now the search company has confirmed it. At MWC 2015 Google Senior Vice President Sundar Pichai said that Android Pay is not itself a direct competitor to Apple Pay, but an "API layer" that will enable third parties to build payments into their Android apps, reports The Verge. The iPad Pro: still a thing? "We are doing it in a way in which anybody else can build a payments service on top of Android," he said, mentioning emerging markets like China and Africa where he said there's room for "innovative services." Details are scarce, but Pichai added that Android Pay apps will use NFC and will eventually include support for biometrics, like the fingerprint sensor Apple Pay uses for security. 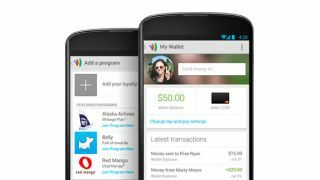 He also confirmed that, as suspected, Google Wallet will continue to operate separately as its own mobile payments platform. It's unclear exactly when Android Pay will launch, but we'll keep an eye out for more news.